TSS Equipment Company, the distributorship office, located in Wisconsin is often your first contact with us at Action Trackchair. We are happy to answer any questions you may have, or get you in touch with the representative closest to you! Fisher Mobility is the dealership serving Pennsylvania and Western New York, based out of Lewisberry, Pennsylvania. 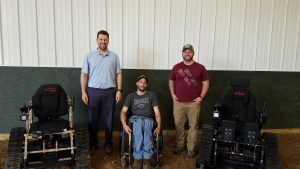 Fisher Mobility became connected to the Action Trackchair through the Fisher’s non-profit, the LEEK Hunting and Mountain Preserve, located in Potter county Pennsylvania. 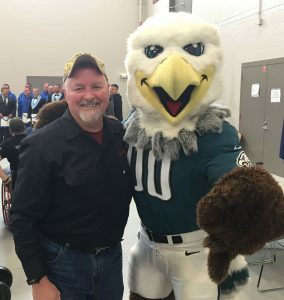 The LEEK Preserve provides a friendly handicap-accessible camp environment and therapeutic outdoor activities like hunting and fishing, LEEK believes in encouraging our wounded heroes to focus on their abilities, without compromising their current physical limitations. Ed’s commitment to getting individuals back in the outdoors is a perfect fit between he and his clients, as he’s always willing to go above and beyond to help get a client in the chair that is perfect for them. Half Moon Outdoors is the dealership serving Southern Wisconsin and the state of Illinois, based out of Evansville, Wisconsin. Chad has been an avid Action Trackchair user himself, and a valued member of the TSS Distributorship team since almost the very beginning. In the recent years Half Moon Outdoors has grown it’s service area from Southern Wisconsin to include the state of Illinois. Kentucky Trackchair is the dealership serving northern Kentucky, based out of Louisville, Kentucky. 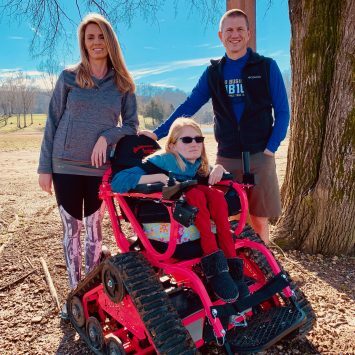 Matt has a career long background in Physical Therapy, and knew when he came in contact with the Action Trackchair how many individuals and families could benefit from the chance to be able to access the outdoors. With a background in the medical field and physical therapy, the Kentucky Trackchair team, is always ready to make sure you or your loved one get into the chair that is the proper fit for you physically and for your lifestyle! Breakout Trackchair located in Monticello, Kentucky is one of the two dealerships servicing the state of Kentucky for the TSS Equipment distributorship. The Breakout Trackchair team consists of Greg & Nisha West and their daughter Taylor West. The West’s have become very familiar with the Action Trackchair, and have formed a passion for what the product can bring to other’s lives after witnessing what it’s done for their family. With a passion for the outdoors & being a first hand witness to the life changing effects of the chair, the Breakout Trackchair team is excited to bring freedom in the outdoors to residents of southern Kentucky! The Ayers Offroad team located in Wauseon, Ohio serves northern Ohio residents. 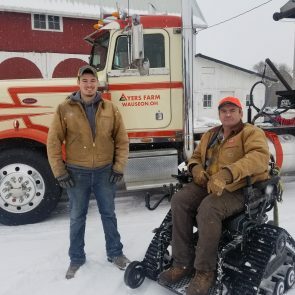 David & Jake Ayers are a father-son team that have learned first hand how beneficial the Action Trackchair can be in both professional and recreation uses. 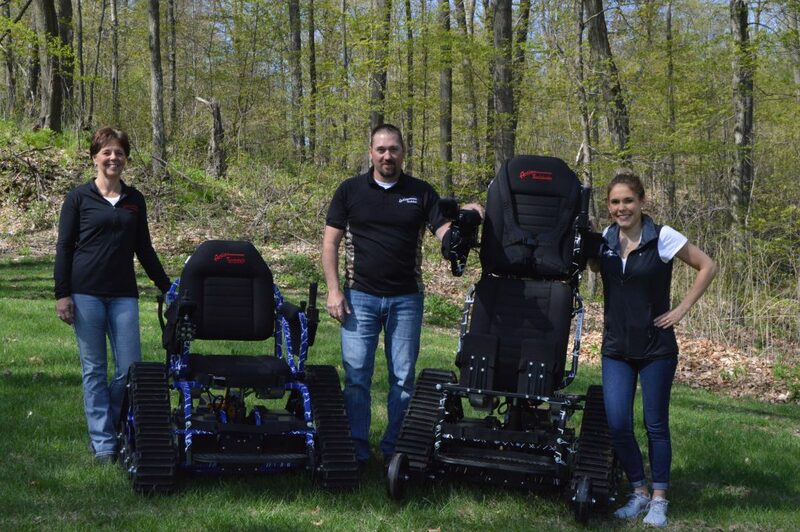 While using the Action Trackchair daily in their other businesses, the Ayers team decided to bring the Action Trackchair to northern Ohio residents. 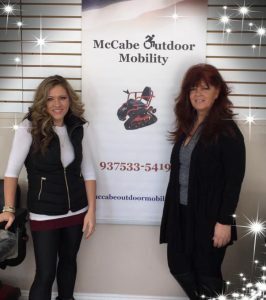 McCabe Outdoor Mobility is the dealership serving Southern Ohio based out of Eaton, Ohio. Kim McCabe and her daughter Jade Rigsby, are very familiar with the equipment because they don’t just sell it, they have family members who use it! Kim became involved in mobility equipment after her husband was paralyzed in an accident. She says, his life revolved around the outdoors and thanks to some of the amazing equipment we have he is able to be the outdoorsman he once was. Whether your passion is being outdoors, hiking, gardening, or going to the beach, they have the mobility equipment for you. They would love to have the opportunity to find the chair and mobility equipment that fits you! Michigan Outdoor Mobility is the dealership serving the state of Michigan, based out of Midland, Michigan.Michigan Outdoor Mobility is a family owned business located in Midland, MI. As the dealer of the Action Trackchair, we take great pride in helping other families with mobility limitations return to the outdoors. Like many other families, we found access to the outdoors limited by a lack of mobility. We are the outdoors type and enjoy camping and hunting in our beautiful state with our son who has Cerebral Palsy. 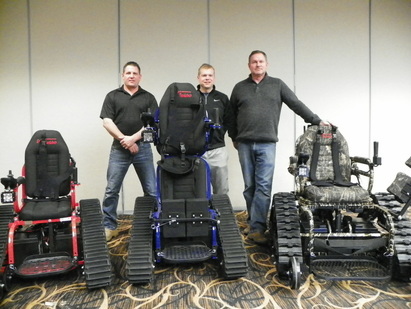 Our lives were forever changed when we learned of the Action Trackchair and we are passionate about sharing the opportunities these tremendous chairs offer to those who thought life outdoors was impossible. Mountaineer Trackchair is the dealership serving West Virginia, located in Staunton, Virginia. 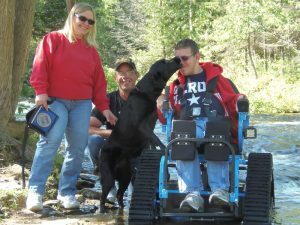 After working with the TSS Equipment Company’s sister company in the outdoor industry through their TV show, Just Kill’n Time TV, Max fell in love with the Action Trackchair and the ability to help get disabled individuals back in the outdoors. 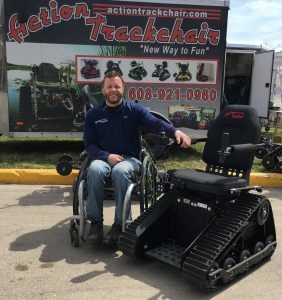 After hosting and filming numerous wounded veteran hunts along with the TSS team, Max decided that he wanted to add the Action Trackchair to his line of work, and have a hands on relationship with individuals in his home state that need the opportunity to get back outdoors. O.M.G Mobility is the dealership serving the state of Indiana and is based out of Wolcott, Indiana. 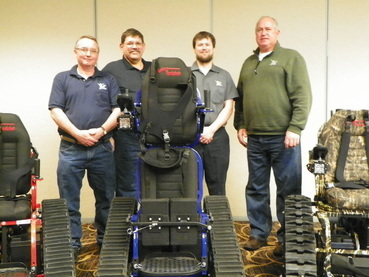 O.M.G first learned of the Action Trackchair through being involved heavily in their sister company, Life Essentials creating adaptive agricultural equipment, and saw a great fit to add the Action Trackchair to their line. With a great background in adaptive equipment the O.M.G team is always ready to provide each client with the best equipment to fit their lifestyle and individual needs. The Root Farm is the dealership for Eastern New York, based out of Sauquoit, New York. After using the Action Trackchair at their farm that is focused on learning and healing for people of all ages and abilities through the power of equine, agricultural and recreational experiences. 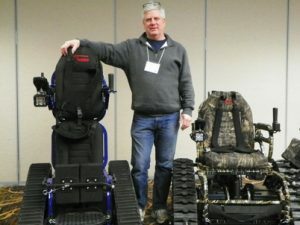 After seeing how well the Action Trackchair fit into their mission, they decided to add the Action Trackchair to their work, and help individuals get back into the outdoors by helping them get their own Action Trackchair. UCAN Mobility is the dealership serving Northern & Northwestern Wisconsin, based out of Wausau, Wisconsin. 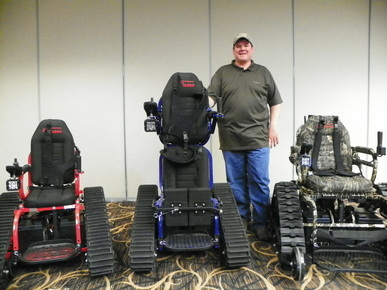 Scott has been a valued member of the TSS Distributorship for many years, and has a deep seeded drive to see individuals getting back into the outdoors with the Action Trackchair after experiencing the chair first hand in his family. At events you’ll often see Scott, and his son Michael as a duo representing UCAN Mobility. Do you have a passion for helping people or think the Action Trackchair could be a great opportunity for your business? We’re always looking for added representation to our team(s). Call our office at 888.991.3273 ext. 304 or email us, we’d love to speak with you!